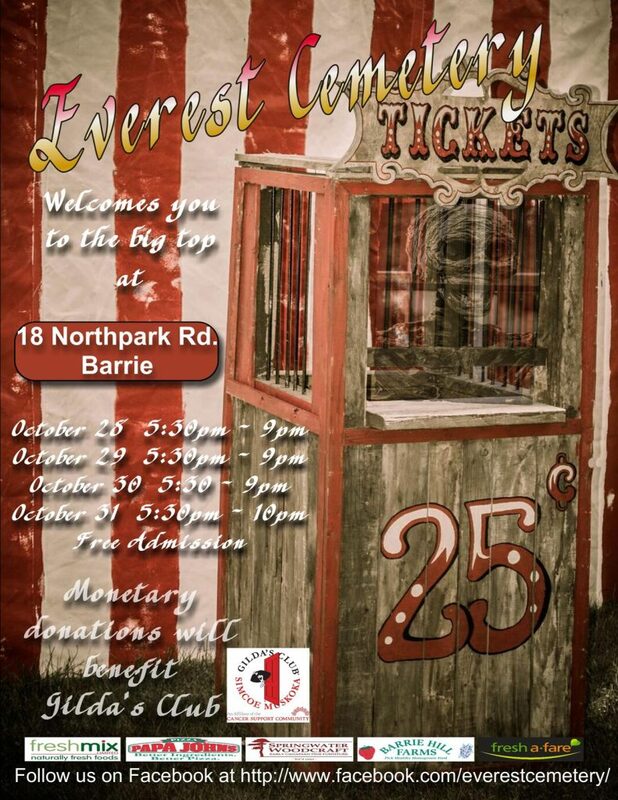 Everest Cemetery Haunted House Walk in Support of Gilda’s Club! Join the Barrie community and take a walk through the Everest Cemetery Haunted House and give to a worthy cause!! Your ghoulish experience is taking place at 18 Northpark Road, Barrie, from 5:30 until 10 pm on October 31st.